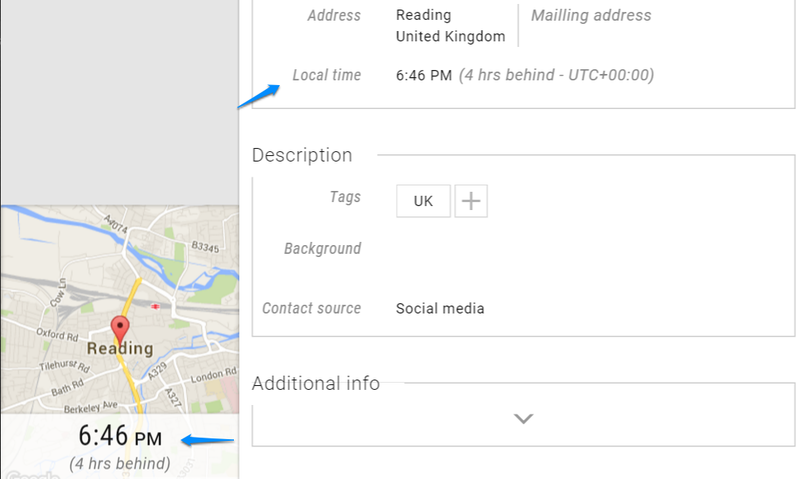 UPilot CRM automatically displays the local time for every contact (based on the time zone). Their local time is also visible when creating a task to help you choose the most feasible time for a meeting or call. Where is the local time displayed? How is the contact’s time zone added? The local time for your contact is dependent on the address you have entered for that particular contact. If the address is changed, the time for the contact would also be updated automatically as well. When creating a task with the contact, you can select the time for the task either in your own time or in your contact’s time. How Can I Quickly Add in Pre-filled Notes in UPilot? How Can I Arrange the Contacts Listed under a Company in Order of Preference?